-Yes, it would be more practical. For now, I'll continue translating like that, please tell me when the plugin is added. ---I added a language selection bar at the bottom of each main page. 2 Does anyone know how to tell an installed/braindumped title's version? Does anyone know how to tell an installed/braindumped title's version? 1.If you have NAND Xorpad you can dump and decrypt to get the .TMD files and read the version from it. 2.Use AM service, and use "AM_ListTitles" from libctru, structure "AM_TitleEntry" includes the version. 3.Most versions of System Titles are fetched via System Update SOAP response, thanks to Yellows8 for that. There should be some documentation about seedminer on this wiki. 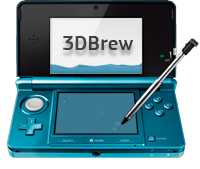 Please check the 3ds system flaws page: search "movable.sed keyY vulnerable to brute-force"
This page was last edited on 25 February 2018, at 03:46.